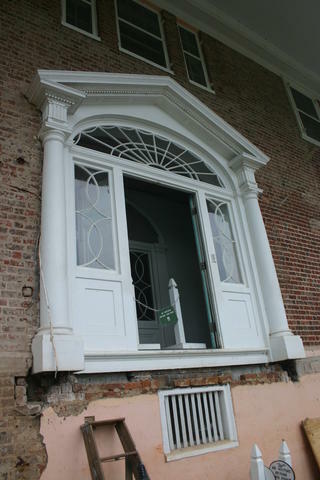 During the investigation of the Portico's deck, the Restoration Team uncovered an architectural feature that had never been seen before. The main entrance to Montpelier after the ca. 1848 portico was removed.